The term ‘www.MYVETERAN.org’ or ‘COMPANY’ or ‘us’ or ‘we’ refers to the owner of the website - David Apperson. 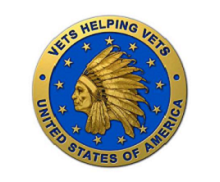 The term ‘you’ refers to the user or viewer of www.MYVETERAN.org. The content of the pages of www.MYVETERAN.org is for your general education, information and use only. It is subject to change without notice. Neither www.MYVETERAN.org nor any third parties provide any warranty or guarantee as to the accuracy, timeliness, performance, completeness or suitability of the information and/or materials found or offered on www.MYVETERAN.org for any particular purpose. You acknowledge that such information and materials may contain inaccuracies or errors and we expressly exclude liability for any such inaccuracies or errors to the fullest extent permitted by law. Your use of any information or materials on www.MYVETERAN.org is entirely at your own risk, for which we shall not be liable for anything. It shall be your own responsibility to ensure that any products, services or information available through www.MYVETERAN.org meet your specific requirements and/or needs. www.MYVETERAN.org contains material which is licensed, owned or copyrighted by www.MYVETERAN.org. This material includes, but is not limited to, the design, layout, look, appearance, tex, content and graphics. Reproduction is authorized in accordance with the Creative Commons License, which forms part of the www.MYVETERAN.org Terms and Conditions. All trademarks reproduced on this website which are not the property of, or licensed to, the operator are acknowledged on www.MYVETERAN.org. Unauthorized use of this website may give rise to a claim for damages and/or criminal offence. www.MYVETERAN.org also includes links to other websites. These links are provided for your convenience to provide further information. However, they do not signify that we endorse the website(s). We have no responsibility for the content of the linked website(s). Anyone may create a link to www.MYVETERAN.org from any non-pornagraphy or non-hate related website or document without the need for www.MYVETERAN.org written consent. Your understand and agree that your use of www.MYVETERAN.org holds David Apperson and www.MYVETERAN.org harmless from any and all legal or monetary disputes arising out of such use. www.MYVETERAN.org is strictly subject to the laws of the United States.